Our good friend Chris Birch is at it again. This time he’s bringing the big guns…a Conan RPG! You’ll want to get in on this as I’m sure that it’s going to be HUGE! Robert E. Howard’s Conan: Adventures In An Age Undreamed Of Kickstarter has LAUNCHED!!! We are almost HALFWAY through the first goal and counting! 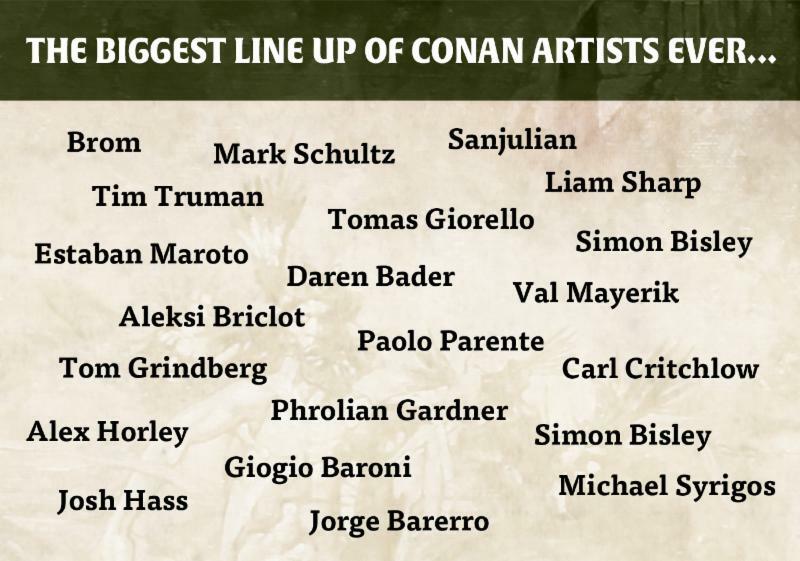 We have one of the biggest line ups of major artists ever for a roleplaying game. Each book is a beautiful high quality hard cover book featuring a major commissioned cover art by one of the legendary names we have assembled along with truly authentic and evocative content by industry veterans and newcomers. Please check it out! …all under the watchful eye of world-renowned Conan experts and scholars including Jeffrey Shanks, Patrice Louinet and Mark Finn, working together to bring you the most authentic Conan roleplaying experience yet, focusing exclusively on Robert E. Howard’s original stories. Thanks so much for your support and patient as we prepared this incredible project!